Abatement Solutions, Inc. is a trusted mold removal company that serves residential and commercial clients in Atlanta, Georgia, and surrounding areas. 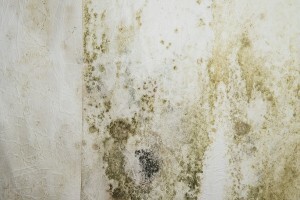 If you have seen signs of mold growth inside of your home or business, give us a call. We will answer your questions, determine the extent of your mold problem, and propose a detailed course of action for remediating the mold. Expertise – While many other companies perform some mold remediation work on the side while focusing mostly on their main line of work, we are a mold removal company that only treats mold. Therefore, we have greater expertise than many other companies. Certification letter guarantee – You can count on receiving objective proof that we’ve made your home or business safe from hazardous mold growth. If we remove mold from a space that people inhabit, we will have an independent inspector certify in writing that the space has been made safe again. Comprehensive services – Rather than having to hire separate companies for your mold inspection, remediation, reconstruction, and prevention, you can have our trusted team handle the work from start to finish. To discuss your mold remediation needs, contact Abatement Solutions today. We are a mold removal company you can trust to eliminate your mold problem and prevent it from returning. We proudly serve realtors, residential and commercial property owners, landlords, and other customers in Atlanta, GA.